(Beijing) AFP: Alibaba co-founder and Chairman Jack Ma will unveil a succession plan today, the South China Morning Post (SCMP) reported Sunday, with a company spokesman denying a New York Times report that he would retire that day. The SCMP, which is owned by Alibaba, said China’s most famous tech billionaire will “unveil a succession strategy” on Monday— his 54th birthday—but remain the company’s Executive Chairman for the foreseeable future. The paper quoted Ma as saying the decision was “the beginning of an era”. But an Alibaba spokesman told the SCMP that the New York Times’ story “was taken out of context and factually wrong”. “An Alibaba spokesman said Ma remains the company’s Executive Chairman and will provide transition plans over a significant period of time,” the SCMP wrote. The paper added that the Monday succession strategy was part of a plan “for grooming a generation of younger executives to take over the reins” of the company. Eileen Murphy, a spokesperson for the New York Times, said the newspaper stood by its story. But an Alibaba spokesman told the SCMP that the New York Times’ story “was taken out of context and factually wrong”. “An Alibaba spokesman said Ma remains the company’s Executive Chairman and will provide transition plans over a significant period of time,” the SCMP wrote. The New York Times’ report surprised many in the global business community because of Ma’s comparative youth, especially in China where it is not unusual for tycoons to remain in place into their eighties. Alibaba did not return requests for comment on Saturday after the story ran. Ma gave up the title of Alibaba CEO in 2013 but remains a pivotal figure within the company as well as its most recognisable face. The SCMP report ran quotes from Ma himself, but they did not address when exactly he would retire. 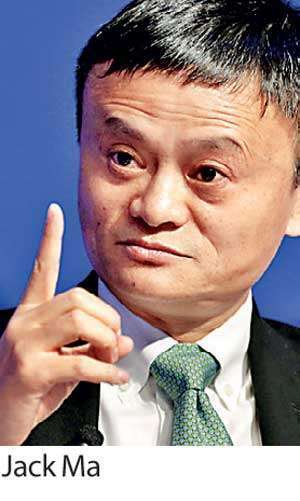 Ma said he met with company executives 10 years ago to work out “what Alibaba would do without me”. “Anybody who knows me knows I embrace the future. This is not about retiring, stepping away, or backing off. This is a systematic plan,” the paper quoted Ma as saying. The SCMP said Ma would be in Russia next week for Alibaba business meetings as well as an upcoming trip to South Africa and a planned speech at the company’s investor day in mid-September.